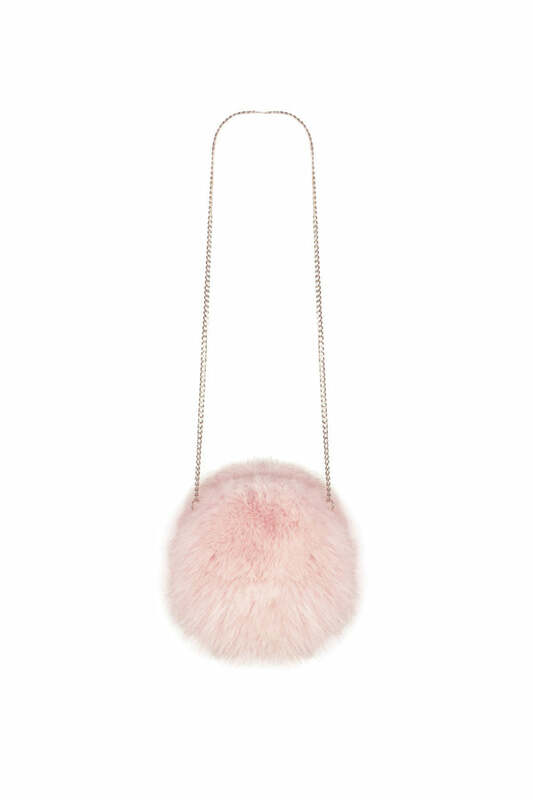 Fluffy Circle Bag in Ballet is backordered. We will ship it separately in 10 to 15 days. 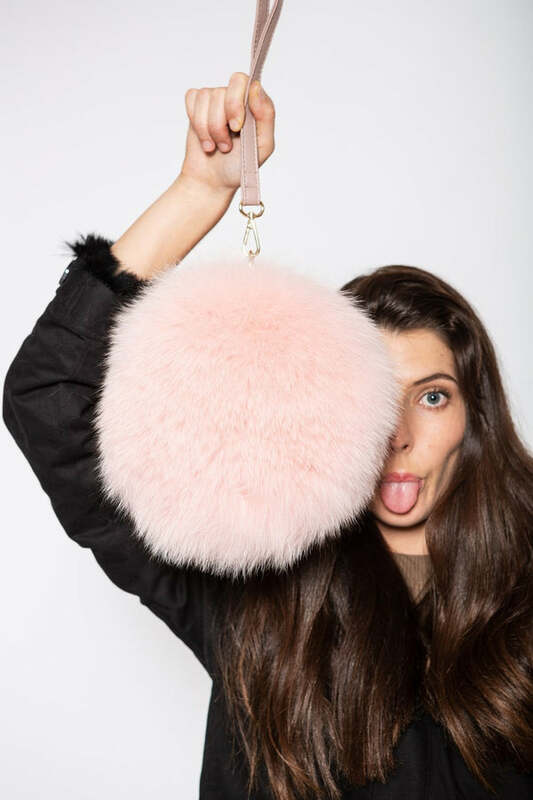 Like a cherry on top, the Fluffy Circle Bag adds the perfect eye-catching finishing touch to any outfit. 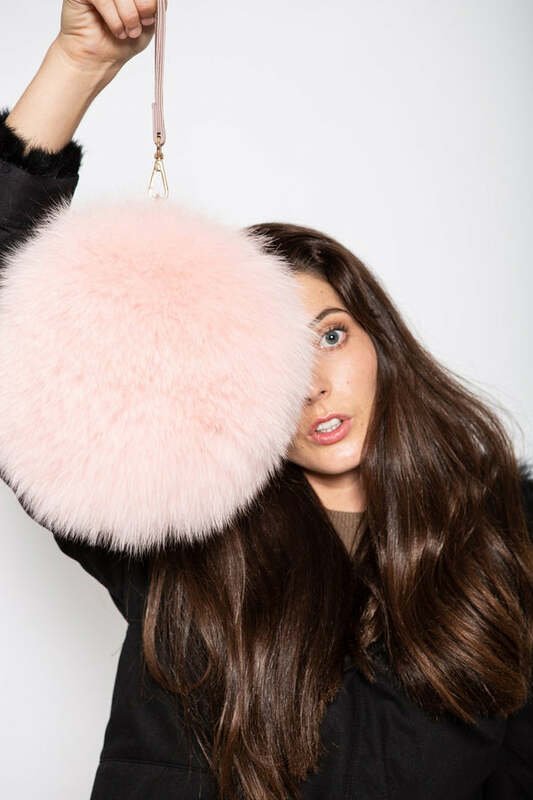 Made from the most luxurious fox fur, the contemporary circular design of the fluffy circle bag offers a playful pop of colour and texture whatever the occasion. Offering two ways to carry your bag - draping the elegant gold chain over your shoulder or slung loosely around your wrist with its colour coordinated wrist strap - you'll find an excuse to wear it everywhere. Available in a range of fun colours. 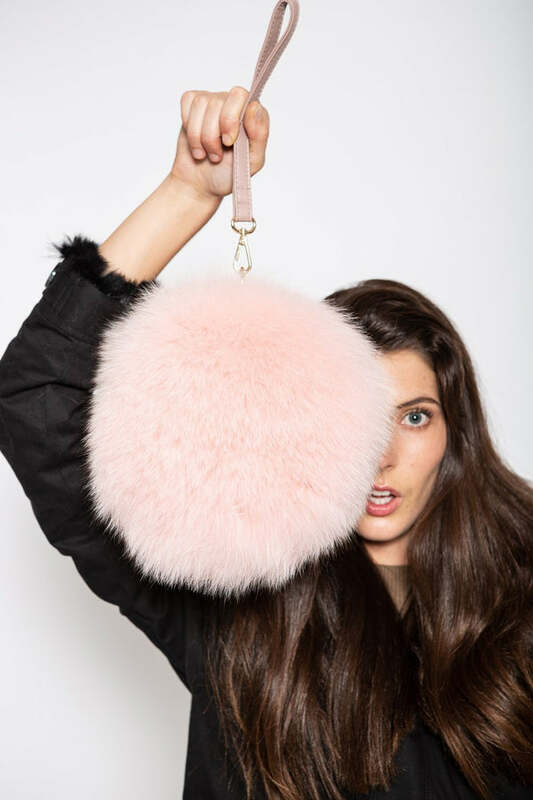 Made from 100% fox fur featuring gold hardware and zip closure, detachable gold chain and detachable PU wrist strap in matching colour. Detachable PU leather handle & detachable long gold chain handle.